Seattle residents know all too well how their home or business can fall victim to water damage. Sometimes, though, it isn't flood damage or a rain-soaked attic that creates the most trouble; broken toilets and leaking or burst drain pipes can also do the trick. Regardless of your situation, you'll want to hire a professional to help you clean up. That's where AdvantaClean comes in. Our Seattle branch is one of many AdvantaClean locations across the U.S., and the franchise has been in business for more than 20 years. Our office is available 24 hours a day, seven days a week, for water damage cleanup, among other emergency tasks. When it comes to water damage restoration, one of the first things we'll do is get rid of any pools of water in your property. You may have begun to extract it manually, but we can use water pumps to speed up the process. At the same time, we'll get high-power fans and dehumidifiers into your property to dry the interiors. The fans might have to stay on for several days to completely eliminate the chances of mold growth. To purify the air, we might set up a few air scrubbers. We'll remove any carpets that have suffered water damage and hang them out to dry if they can be salvaged; it would be a good idea to steam clean them afterwards because there's no telling what kind of bacteria have entered them. Our team can either use floor dryers or get on their hands and knees to scrub at the hard floors. Any other belongings, such as furniture and curtains, that have sustained flood damage will be cleaned and sanitized with chlorine bleach. Our Seattle team knows that water will continue to seep down, even through your basement or crawl space and down to the slab foundation. That's why our water damage restoration work will extend to those areas that weren't directly affected by the flood damage. 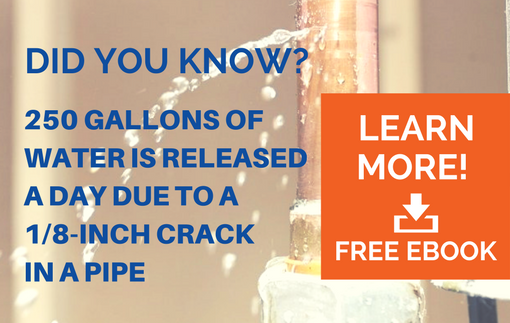 We’ll also be able to identify leaking pipes and other dangers and recommend the appropriate plumbing repairs. We're certified through the Institute for Inspection Cleaning and Restoration Certification (IICRC) as well as through the Mold Inspection Consulting and Remediation Organization (MICRO), so we have the professional qualifications that allow us to restore customers' furniture and remove mold, should it appear. If your home contains paint that hasn't been replaced since 1978, there's a good chance that the paint contains lead. The EPA has certified us for lead-safe practices, so we can correctly dispose of any lead-paint surfaces that incurred water damage. You can't go wrong with AdvantaClean, so call our location in Seattle for more information about water damage restoration.